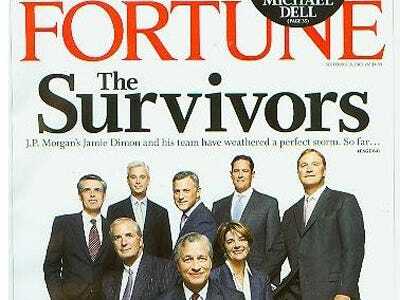 Time Inc. is revamping the print edition of its Fortune Magazine. According to the New York Post, the magazine will feature new graphics, designs, and slight editorial changes. The new issue is Fortune’s “fattest” in two years, according to Time Inc.’s president Mark Ford. Fortune’s ad pages were down 36% through February this year. Fortune is also up against some tough competition with Bloomberg’s BusinessWeek amping for a new print debut. Time Warner Inc. (TWX) CFO John Martin said yesterday at an investor conference in San Fransisco that his the company “more optimistic than most about the troubled magazine publishing business,” according to Dow Jones. He expects new devices like the iPad to help bolster revenues. “We have a high degree of confidence that we can create that same dual revenue stream in an electronic way that we’ve enjoyed throughout our history in magazine publishing,” said Martin. Among all the focus on print, the magazine hired former Fortune, Wired, and Portfolio writer Dan Roth as managing editor in February, charging him with revamping its Web site. advertising magazines media thewire-us time inc.